This Routledge Focus aims to investigate and analyse the United Kingdom’s relationship with the European Communities (EC) and the European Union (EU). Since joining the EC in 1973, the UK has had a fraught relationship with the organization, declining closer economic union in the eurozone and, often, arguing against closer political union. While some 67% of the UK’s voters opted to remain in the EC in a referendum held in 1975, by June 2016 a narrow majority favoured leaving the EU. 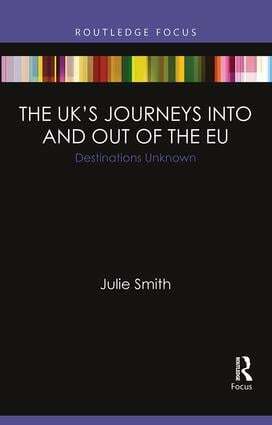 This volume evaluates the UK’s journey into the Union, and examines how the country’s voters came to decide on Brexit, and where the UK’s departure from the EU may lead it.